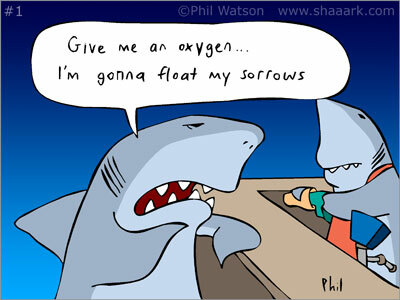 Float your sorrows – Shaaark! When a shark goes orders at the bar… This was the first cartoon that was uploaded to my original site. Back in those days there was no ‘Shaaark’ just a bunch of shark cartoons.